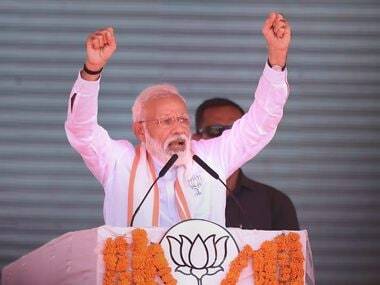 In an emphatic endorsement of Karnataka's ruling JD(S)-Congress coalition by the voters, its candidates Tuesday won both the assembly constituencies and clinched victory in two of the three Lok Sabha seats in the bitterly fought by-polls held on Saturday, officials said. The byelections came as a major setback for the main opposition BJP ahead of the 2019 elections with the party losing the Bellary Lok Sabha seat, considered a stronghold of the controversial mining barons — the Reddy brothers. V S Ugrappa of the Congress established a lead of more than 2.14 lakh votes in Bellary over BJP's J Shantha, the sister of B Sriramulu, a key aide of the Reddys and former MP from there. The BJP was leading only in Shivamogga parliamentary seat, the pocket borough of the Leader of the Opposition B S Yeyyurappa. His son B Y Raghavendra has established a lead of more than 51,000 votes over Madhu Bangarappa of the JD(S). Madhu is the son of former Congress chief minister the late S Bangarappa. Chief Minister H D Kumaraswamy's wife Anitha bagged the Ramanagara assembly seat by a spectacular margin of 1,09,137 against her nearest rival BJP's L Chandrashekar, who had pulled out of the contest, but still officially remains the party candidate. Chandrashekhar, who had joined the BJP ahead of the polls returned to Congress weeks later, leaving the saffron party red-faced and the field open for a walkover for Anitha Kumaraswamy. In Jamkhandi, Congress candidate Anand Nyamgouda defeated BJP's Srikant Kulkarni by a margin of 39,480 votes, riding a sympathy wave following his father and sitting MLA Siddu Nyamagouda's death in a road accident. With Tuesday's victory, the Congress-JD(S) alliance's tally will go up to 120 seats in the 224 member assembly where the BJP has 104 MLAs. In Mandya Lok Sabha constituency, JD(S) candidate L Shivarame Gowda has established a lead of a staggering 3.24 lakh votes over BJP candidate Siddaramaiah, a political green horn and a former civil servant. Elated over the performance of the ruling alliance candidates, jubilant Congress workers distributed sweets and broke coconuts at various places. Karnataka Congress president Dinesh Gundu Rao claimed the results reflected the disenchantment of people with the BJP. "Look at the margins...it's clear that people are fed up with the BJP. This anti-people, anti-farmer, anti-women government at the Centre must go. "All forces need to come together to take on the BJP. BJP will be wiped out of Karnataka in 2019 (Lok Sabha polls). 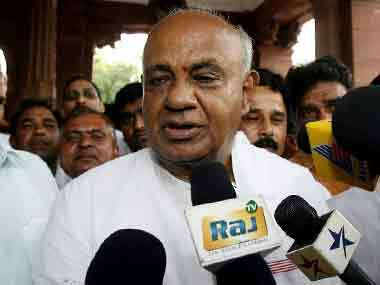 If it is wiped out in Karnataka, it will be wiped out in the entire south India," he said. "I congratulate Congress leaders in the state and at the Centre. 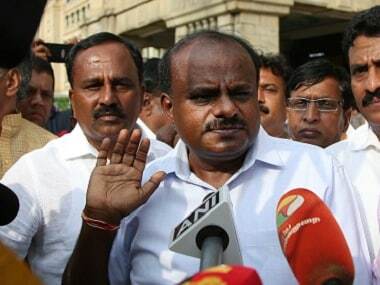 I also congratulate JDS state leaders and workers who worked towards this win," chief minister HD Kumaraswamy told the media on Tuesday. "BJP calls JDS-Congress coalition 'Apavitra Maitri', today that contention has been nullified." These elections were the first step, said the chief minister and added that JD(S) will work with Congress on all the 28 Lok Sabha "to win all of them". "...that is our goal. This is not an empty boast just because we have won today. This is the confidence of people in us. This win is not making us arrogant," Kumaraswamy said. Karnataka Pradesh Congress Committee (KPCC) president Dinesh Gundu Rao has described the success in the by-elections as the success of coalition government. 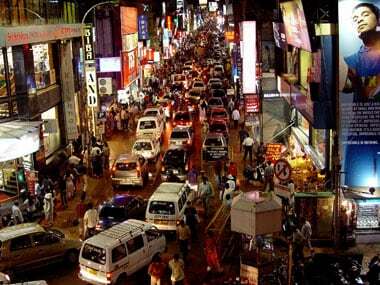 "The by-elections were considered as important for the coalition government. We have contested the by-elections in association with coalition partner. BJP has struggled a lot to win in Shivamogga. Our candidates have got elected from four constituencies — two Assembly seats and two Lok Sabha seats," says Dinesh Gundu Rao. Workers and supporters of the ruling alliance — JD-S and Congress — who contested the bye-elections together, broke into celebrations across the party's offices in Ramanagara and Jamkhandi district, as well as in Bengaluru. Around 66 percent of the 54.5 lakh electorate voted in the five bypolls on Saturday.